The Dutch-born creative director Jop van Bennekom leads a growing armada of niche publications and brand collaborations. Fantastic Man, a quietly sophisticated alternative to the genre of men’s magazines that was launched in 2005, is the flagship magazine. It was joined in 2010 by The Gentlewoman, with Penny Martin as editor-in-chief and Veronica Ditting as art director. This bi-annual magazine rethinks the category of women’s magazines by claiming to represent the way modern women actually look, think and dress, and by publishing in-depth interviews with iconic women, from Beyoncé to Vivienne Westwood, conducted at moments when they are not focused on promoting a product. 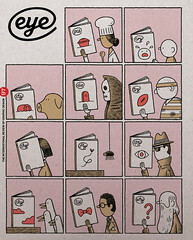 Cover from The Happy Reader, No. 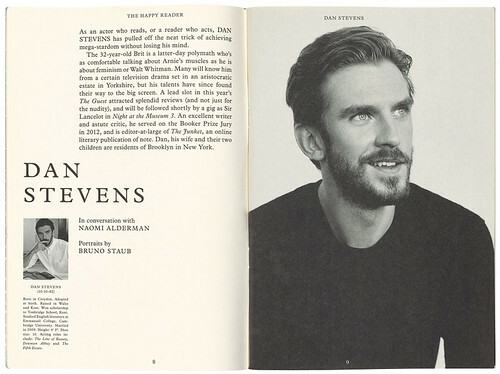 1, Winter 2014 featuring actor Dan Stevens. 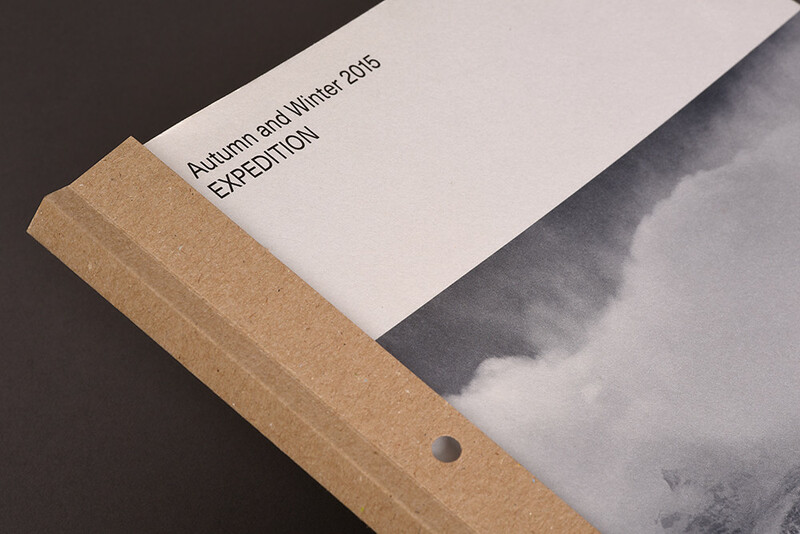 Top: Cover from COS magazine, edited by Jop van Bennekom and Gert Jonkers in collaboration with fashion company Cos, showing a detail of the ‘Expedition’ issue, Autumn and Winter 2015. Creative director: Veronica Ditting. Designer: Helios Capdevila.